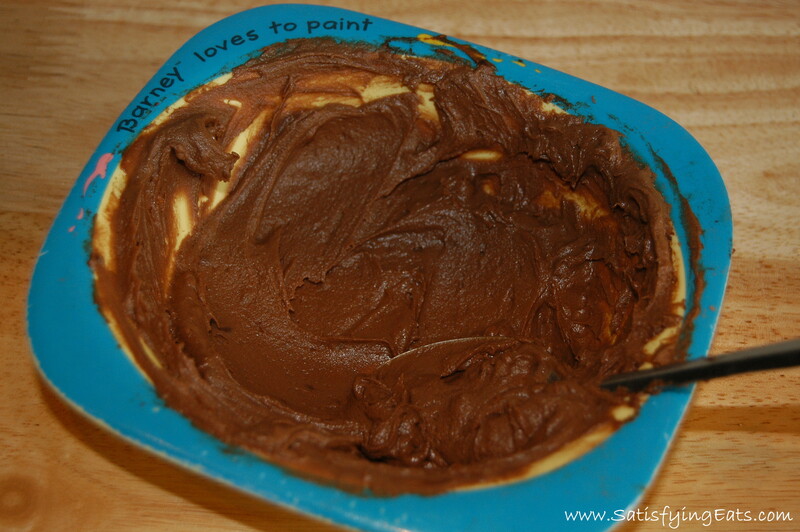 I confess… I was one of those kids that would eat chocolate frosting right out of the tub, 1 spoonful at a time! I think back on those times and wonder why I didn’t go into a diabetic coma!! But it was sooo good… I thought! 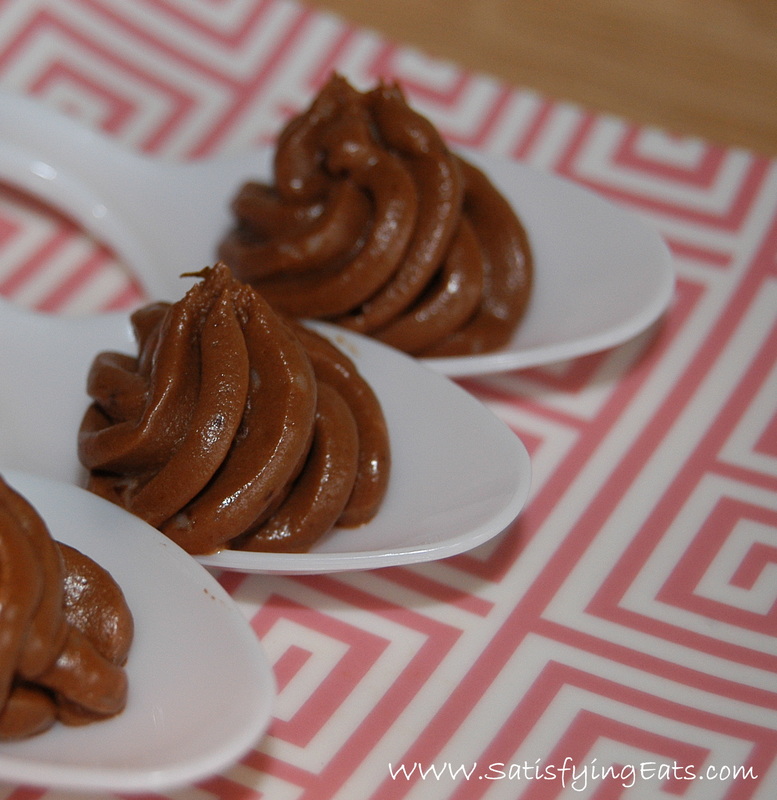 This recipe is my new indulgence… I get in the corner of my kitchen and whip up a batch and I eat it… 1 spoonful at a time! This recipe came about because I was needing a chocolate fix in the middle of the day while caring for a newborn, 2-year-old and working on the new cookbook and blog! I call this my 5-Minute Vacation that only takes 1 minute to get there! My kind of recipe! A few weeks ago I ordered some Coconut Cream Concentrate from Tropical Traditions when it was BOGO Free (my recipes are usually centered around a good deal). Since giving up cheese and dairy, I was needing some ideas to get more calories and fat in during the day. I am nursing my 2 month old son and I always worry that I am not eating enough calories even though I eat every time he eats (and the kid weights over 14 pounds)! 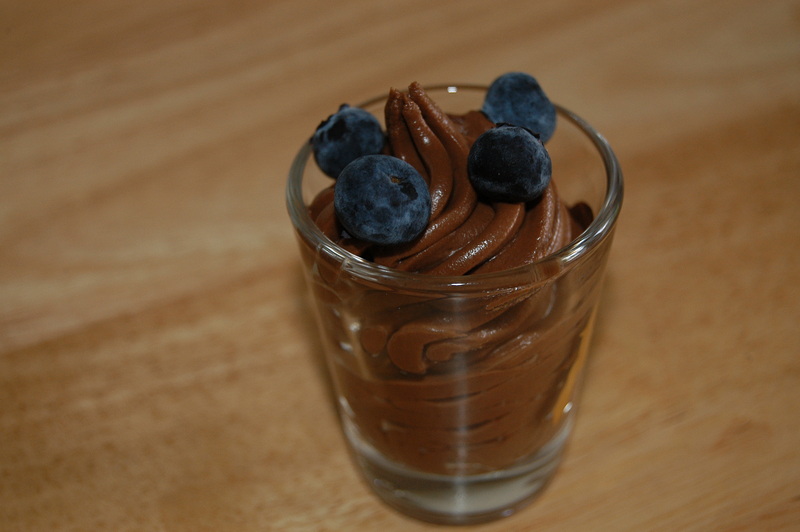 I started whipping this up in a little bowl and having a “5-minute Vacation” once a day while eating it! So good!! There is a slight coconut flavor but not like when using virgin coconut oil. 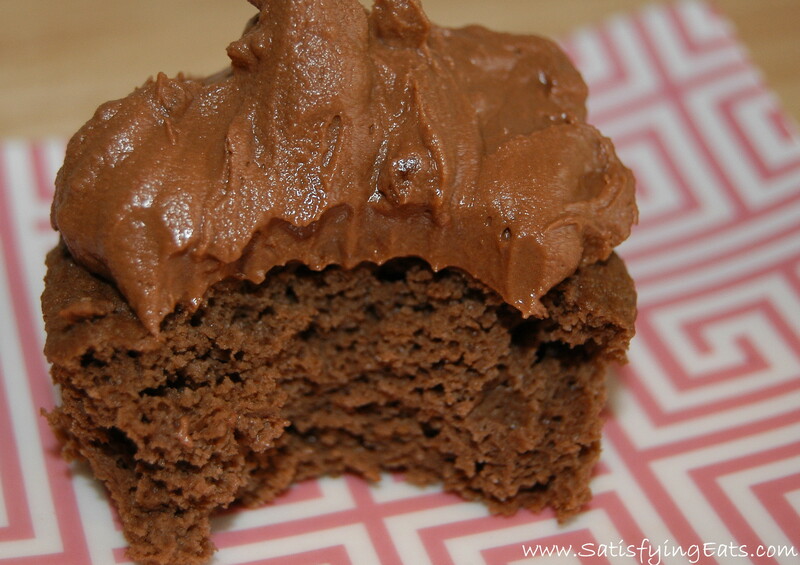 I also made a batch of chocolate (nut-free & dairy-free) cupcakes to spread it on… oh my GOODNESS!! 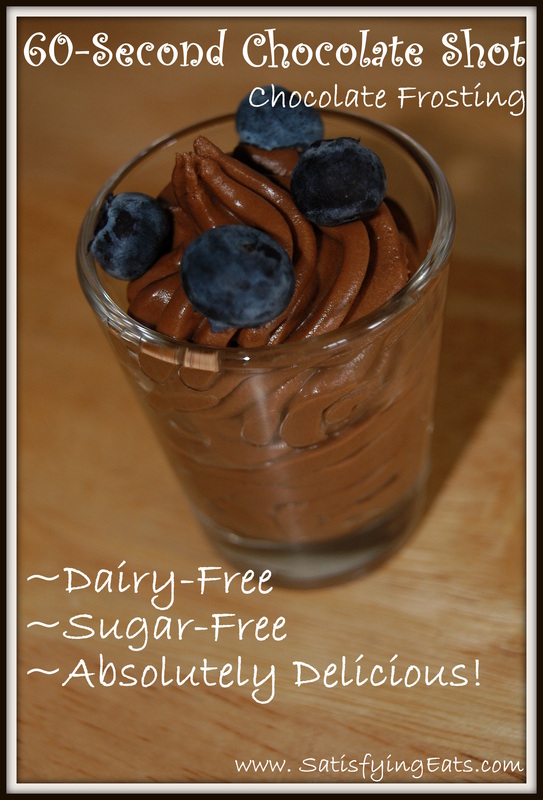 I am still amazed how awesome dairy-free foods can be! If you haven’t tried coconut cream concentrate, it is a great treat! You can also make it from fresh coconuts or coconut chips. I haven’t done this YET but will in the near future! CCC is also called Coconut Butter or Coconut Manna. It is the meat of the coconut blended into a puree. Nothing else is added. It is 70% coconut oil so not only does this frosting taste great and satisfies a chocolate craving, some may say it is also good for you! Eating this recipe is like eating the equivalent of 1.5 tbsp of coconut oil without the SUPER strong coconut taste and greasy texture! It’s like eating your medicine because we all know how good coconut oil is you you! I eat coconut oil everyday. Usually in my protein smoothie but now I am getting some extra oil in with a Chocolate Shot! Fat doesn’t make you fat, especially when consuming good fats like the ones found in coconut oil! I have lost 6 lbs in the past 3 weeks consuming lots of coconut oil and CCC! 20 more pounds of baby weight to go! Make truffles once chilled and roll in cocoa powder or chopped nuts. **If you allow this recipe to set at room temperature over an hour, a little of the coconut oil will separate from the frosting. This will not affect the taste in any way. To avoid this, if not eating immediately, store in the fridge. Also, you could use any “liquid” you would like. I chose to use my homemade coconut milk but you could use almond milk or even water. Tips: It will start off watery. Keep stirring. The more you stir, the creamier it will become, almost fluffy! If you let it set, it will begin to harden. I like it best eating immediately after preparing or if I refrigerate, letting it come to room temperature. In small bowl, add all ingredients and with the back of your spoon, blend until smooth. This should take about 1 minute. The more you stir, the smoother it gets. Taste for sweetness and adjust if necessary. Enjoy. Hmmm….not sure what I did wrong? Mine did not turn out nice and dark and glossy like your photo – mine is lighter and fluffier looking…not glossy at all. 🙁 I used almond milk…would that do it? Sarah, possibly. I used very thin coconut milk. The darkness could differ between cocoa brands. Hope it taste good! So I made this tonight. And I was so confused cause it didn’t turn out at all. And I kept telling my husband – I don’t get it. All her recipes turn out. She’s so good about all the directions and this one just tastes so strongly of alcohol… I used 3/4 of a Tablespoon of vanilla instead of a teaspoon! What a nut I am!!! When I did it RIGHT it was great as always!!! =) Thanks for another great recipe!! 😉 Glad you and the hubs enjoyed them Michelle! Great recipe. It was the first time I’ve used Coconut Butter / Manna, and I realized it had to be warmed/liquefied for this recipe to work. I made a 2nd batch, but doubled it, and put it in ramekins stored in the fridge. Do you think butter would work in place of the coconut cream? Taylor, not sure why it would be gritty unless it wasn’t mixed well. Perhaps the CCC was too cold so maybe warming it just a bit before mixing. Hope this helps! Nancy, the more you stir, the thicker it becomes. CCC is some magical stuff! lol I am sure it thickened for you once you refrigerated! Wow– I was using coconut butter, not ccc, so the next night I added 1 teaspoon of water, OMG this is amazing stuff– can’t wait to eat it. Next time I am at sprouts, I am looking for CCC. Thanks for a awesome recipe! Do u have a picture of the CCC ? I live in Australia and wondering if I can buy here and a picture would help! Be sure to click on the link. I am on my phone and can’t upload a picture but if you click on the product link, that should show you what it looks like. Coconut butter or manna are 2 other names. Can we use straight out Coconut oil, unrefined, organic instead of CCC and what would the measurement be? No, it will be oily and runny. The Ccc is more like a coconut butter and absorbs the liquid.